Samsung Galaxy Nexus Press Shot Leaked Ahead Of Todays Launch Event? Samsung and Google are expect to reveal the first Android Ice Cream Sandwich smartphone later today, which has been rumored to be the Google Nexus Prime, and over the last few weeks we have been hearing more and more evidence that it may be called the Samsung Galaxy Nexus. 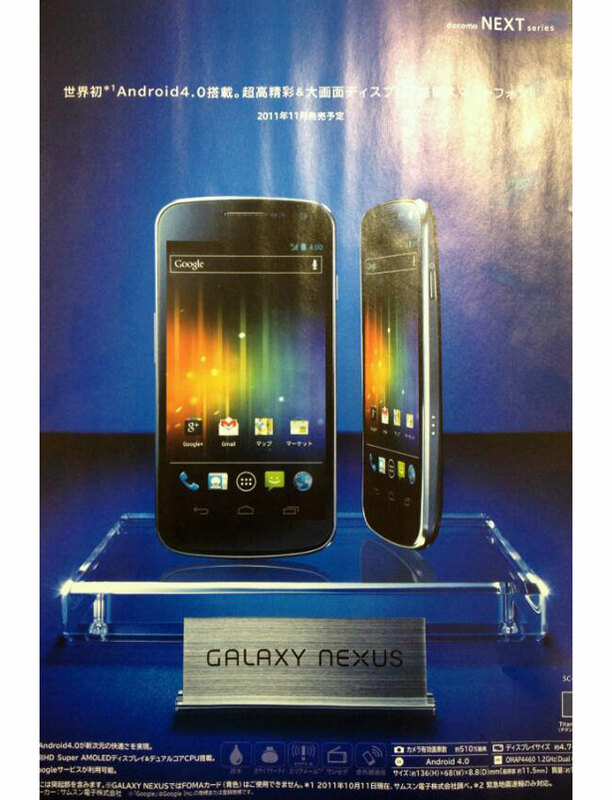 Earlier we heard that Japan’s NTT DoCoMo have confirmed they will start selling the Galaxy Nexus from November, and now a photo has appeared online which could be one of the first press shots of the Samsung Galaxy Nexus. The specifications on the photo seem to tie in with what we have heard previously, Android 4.0 Ice Cream Sandwich, a Super AMOLED HD display and a 1.2GHz dual core processor.